If Centrelink has overpaid you as a result of a deliberate attempt to obtain payments you weren’t entitled to, you could find yourself facing fraud charges. Offences against federal government organisations such as Centrelink are treated as Commonwealth offences, and are dealt with by the Director of Public Prosecutions (DPP). The penalties for fraud against Centrelink can be severe. Fraud offences against Centrelink are charged under Section 135.2 of the Criminal Code Act. In most cases, if you are dealing with Centrelink fraud charges, you are likely to be charged with dishonestly obtaining a financial advantage. This means that you are alleged to have tried to obtain a financial gain for yourself or someone else by dishonest means. Centrelink fraud can include claiming for benefits you weren’t entitled to, falsely declaring your income and failing to inform Centrelink of a change in circumstances that would affect your entitlements. 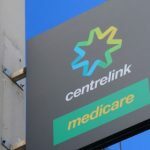 To be found guilty of Centrelink fraud, you need to have known that you weren’t entitled to a particular benefit, as opposed to having made a genuine mistake or an oversight. Centrelink fraud penalties vary depending on a number of different mitigating factors. The maximum penalty for Centrelink fraud is 10 years’ imprisonment, but penalties can range from avoiding a conviction altogether, to fines, good behaviour bonds and community service. If you are found guilty of Centrelink fraud, the court will take a number of factors into consideration when deciding what penalty to give you. The sum of money which you obtained. The larger the amount the more likely you are to get a severe penalty. How long the fraud was carried out for. One or two isolated incidents will be treated differently to long-term fraudulent activities which may have gone on for years. Whether or not you have since paid back some or all of the money or have tried to make reparations. Whether the money was used for personal gain or for some other reason. Your motivation for committing the offence and whether there were any mitigating circumstances or family background which contributed to it. If you haven’t already paid back the money by the time the matter goes to court, the judge will possibly make an order which requires you to pay back the money to Centrelink. This will be in addition to any fines you are given. Is there anything I can do to reduce my penalty? If you find out that Centrelink is investigating you for fraud, it’s important to co-operate fully with their investigation. Speak to a criminal lawyer as soon as possible to find out what evidence you need to provide to them if you choose to plead not guilty. If you decide to plead guilty, there are a number of things you and your lawyer can do to encourage the court to look on you more leniently, including showing any mitigating circumstances which may have led up to the offence and providing evidence that you have tried to make reparations. 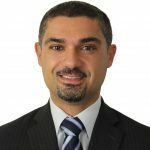 In some cases it’s possible that Centrelink miscalculated the amount of money overpaid, and showing that the amount of the alleged fraud is less than previously thought can lessen the severity of the offence and therefore the penalty. If you made a genuine mistake or provided Centrelink the wrong information, believing at the time that it was correct, you should speak to a lawyer as soon as possible to see if it is possible to have the charges withdrawn. Will I Face Criminal Charges if I Have an Overpayment from Centrelink? 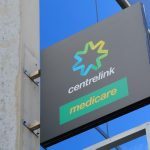 What Should I do if I’m facing A Centrelink Overpayment Prosecution?